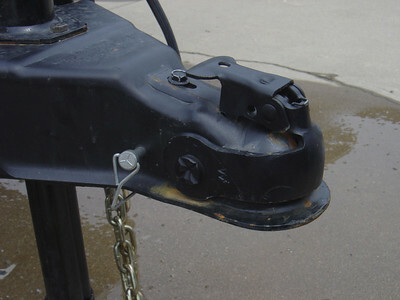 The recommended way to secure the Fleetwood Evolution 3 coupler to the ball is to use a snap pin as seen above. 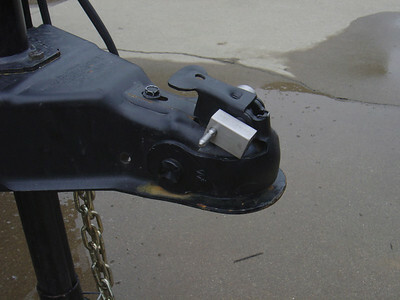 The typical coupler lock will not work (See the next photograph). 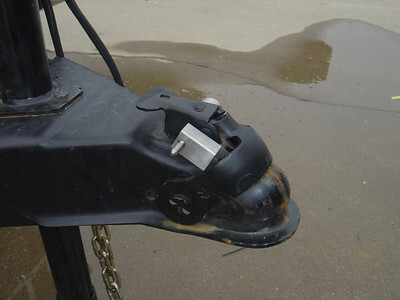 This is the non fuctional coupler lock in the locked position. However, as you will see in the next photograph it does not work.